Details on how to submit your track selections can be found here. 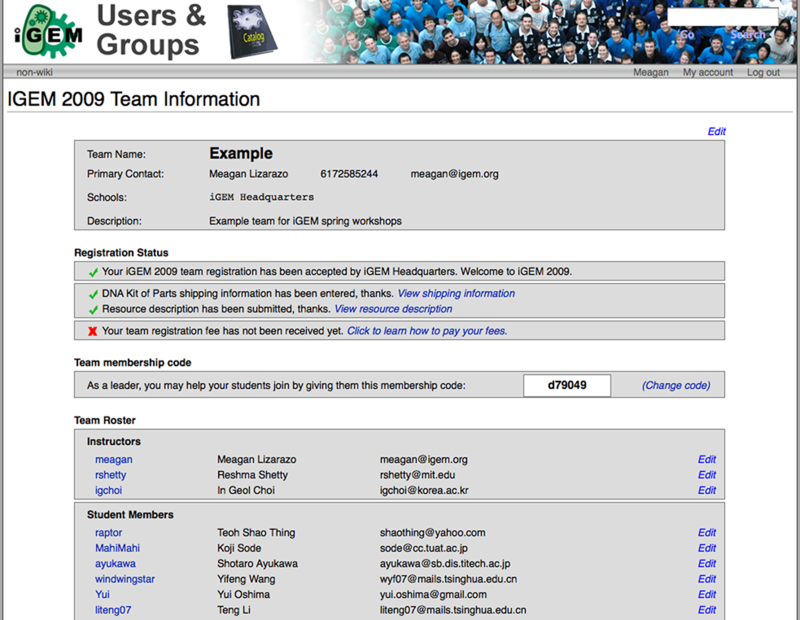 Project: According to the iGEM requirements, each iGEM team's project should be documented on the iGEM 2010 wiki site with detail enough to replicate it independently. Additional presentational information about the team - their story, the rationale for the project, failures, successes, future work, etc. - is highly encouraged. Remember that these wiki pages will be the main source of inspiration for future teams, and having good documentation on them and in the part description in the registry increases the likelihood of more teams building on your project and your parts. What is considered proper documentation is decided by the judging committee and you can find details about proper documentation at the Judging page. The general schedule is as follows. A more detailed schedule will be posted closer to the Jamboree. Each team is required to present a poster at the Jamboree. There are two poster sessions, session ‘A’ on Saturday and session ‘B’ on Sunday, and your team will be assigned to ONE session. Poster locations will also be assigned. Please see your poster information sheet, in your team box, for your team’s poster location. The poster must be no larger than 4 ft (48 in, 121.92 cm) by 4 ft (48 in, 121.92cm). Each team may only put up ONE poster. The poster should be hung up on one of the poster stands that will be set up around MIT campus, see your assignment for details. Clear push pins will be provided. Please only use these clear push pins. Do not use tape or the grey pins along the edge of the board. The grey pins hold the poster board onto the frame, and if they are removed, the board will fall. Teams can setup their posters beginning at 8am on Saturday or Sunday depending on their session assignment. The poster receptions will be held on Saturday and Sunday evenings (time and location details to follow). Posters must be removed immediately following the poster receptions on both Saturday and Sunday. Please be sure to remove your poster at the end of the reception. Any remaining posters will not be saved.